Ideal ground cover on impoverished, free draining or sandy soils. 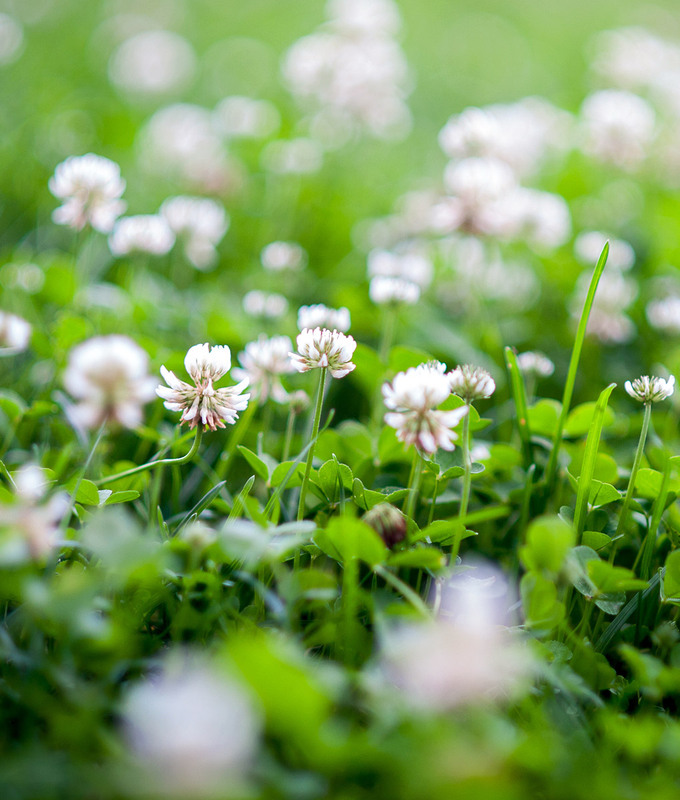 100% white clover seed produces an essential, nitrogen rich, long term Green Manure on even the poorest quality soil. The main benefits are a deep taproot which can help prevent compaction, increased soil fertility by way of nitrogen fixation (legume), dense foliage to smother weeds and a dense leaf structure which can withstand a fairly high level of foot traffic. White clover can therefore be utilised as temporary walkways or be established between open canopy crops. Sow clover seed on to a fine, well prepared, warm seedbed. Lightly rake over (whilst being very carful not to bury the seeds more than 5-10mm) and firm the ground afterwards to insure good seed to soil contact. White clover may be regularly cut and mulched on the surface or cut and removed to a compost heap as very high nitrogen green leaf matter.